I’ll be showing my latest paintings (and possibly some other things) at Spativm Gallery in the Parrish Studios at 14th and O St. 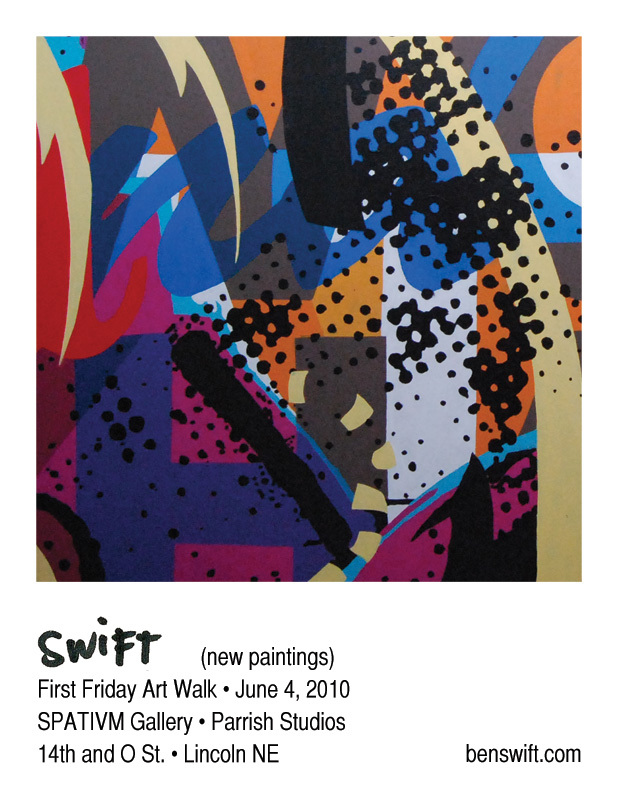 The show will be part of the monthly First Friday Art Walk running from 6 to 10 pm. I believe there will be some delicious beer available for your pleasure.